The AERA Voice! This is our exhaustive publication for members only but you can view the most recent cover here. This publication is designed to provide needed information for education retirees. Upon becoming a member, you would begin to receive the AERA Voice, making you privy to loads of info and pictures not found on our website. 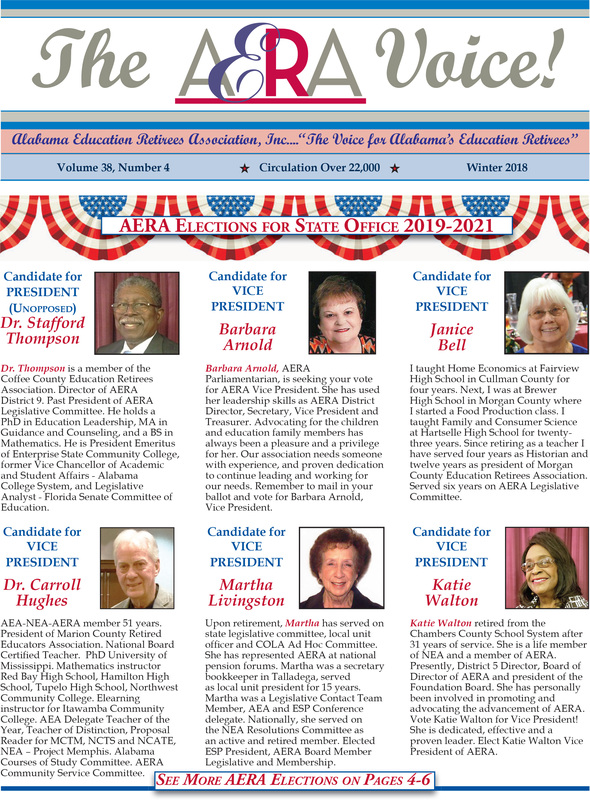 Even if you’re not a retired educator, do like hundreds of others and join us today to keep up with one of Alabama’s most influential special interests…the Alabama Education Retirees Association!